Book Launch: “Living with Floods in a Mobile Southeast Asia: A Political Ecology of Vulnerability, Migration and Environmental Change"
The book “Living with Floods in a Mobile Southeast Asia: A Political Ecology of Vulnerability, Migration and Environmental Change” is co-edited by Carl Middleton, Rebecca Elmhirst and Supang Chantavanich. It contains 10 chapters including 8 country case studies by 21 authors mostly from Southeast Asia. 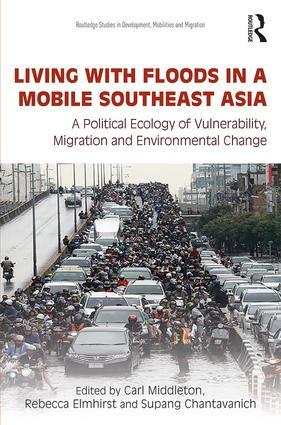 The book launch is co-hosted by the Asian Research Center for Migration and the Center for Social Development Studies, Chulalongkorn University and the Stockholm Environment Institute’s initiative on Transforming Development and Disaster Risk.